Things are heating up. There’s a buzz in the air, like we’re on the precipice of something big. It’s almost palatable, electric. Summer heat brings thunderstorms. As the storm approaches, sink down and root. Take slow, deep breaths. Summer is a great time for detoxifying and introverted asana practices. It’s also the season for salads, juice, and other raw foods. 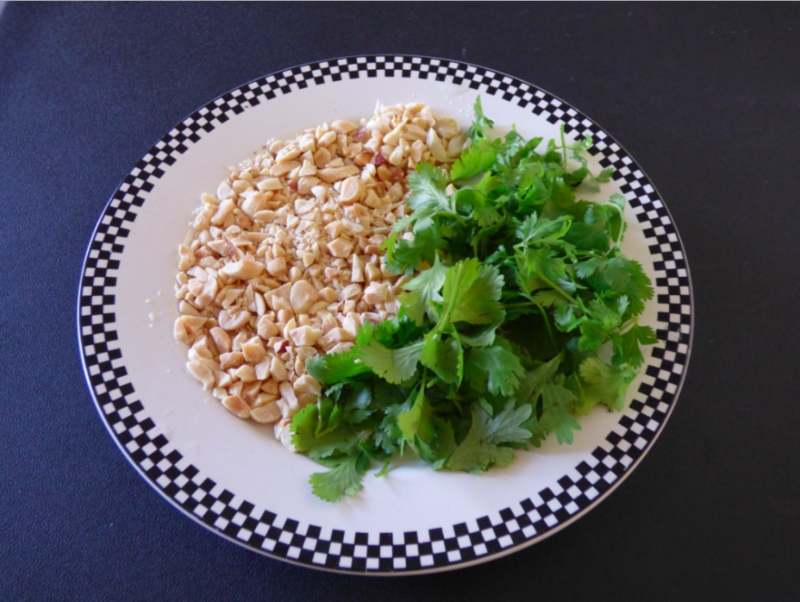 There are a few raw dishes in my culinary arsenal that have withstood the test of time. Zucchini noodles are one of them. 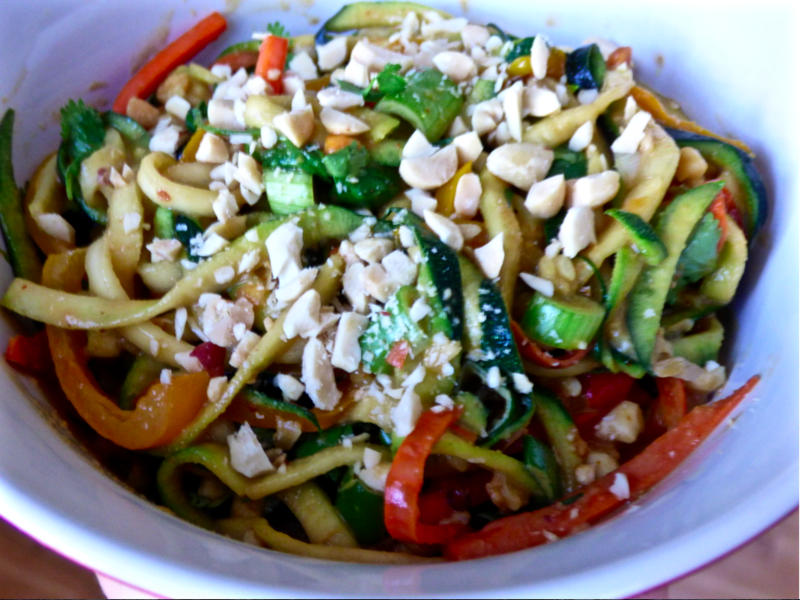 My love for zucchini noodles (zoodles) began with a simple salad of wide noodles (using a vegetable peeler), marinated for fifteen minutes in lemon juice, extra virgin olive oil and Kosher salt. Easy to digest = easy to absorb the prana of the food. 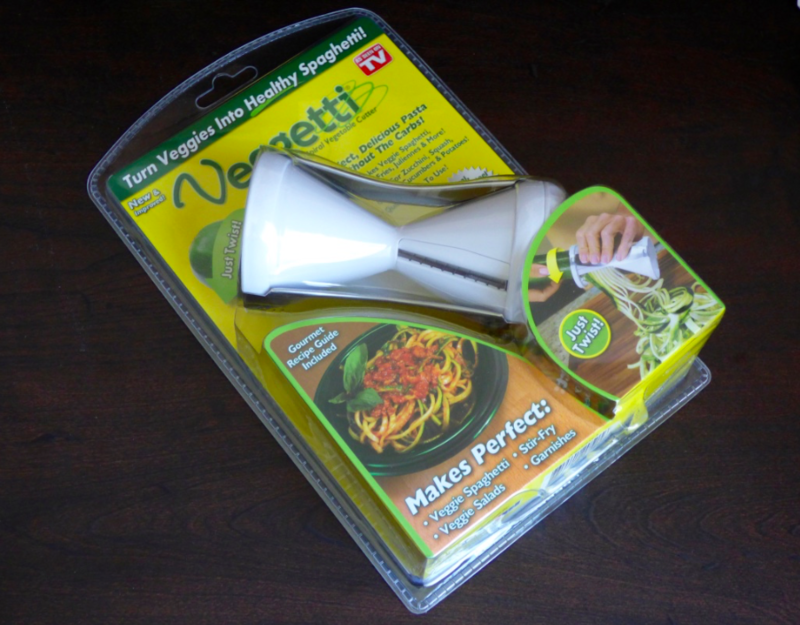 My brother sent me this spiralizer for Christmas. I’ve been waiting for the warm weather to try it out. Zucchini is a superfood that has incredible health benefits. Peanuts and peanut butter are powerhouse foods too, especially for men. A Word of Caution: Please read ingredient labels, avoid trans fats, and choose organic whenever possible (especially zucchini – avoid the conventional GMO variety). Toasting nuts adds flavor and kills mold. People with peanut allergies could substitute almonds/almond butter. 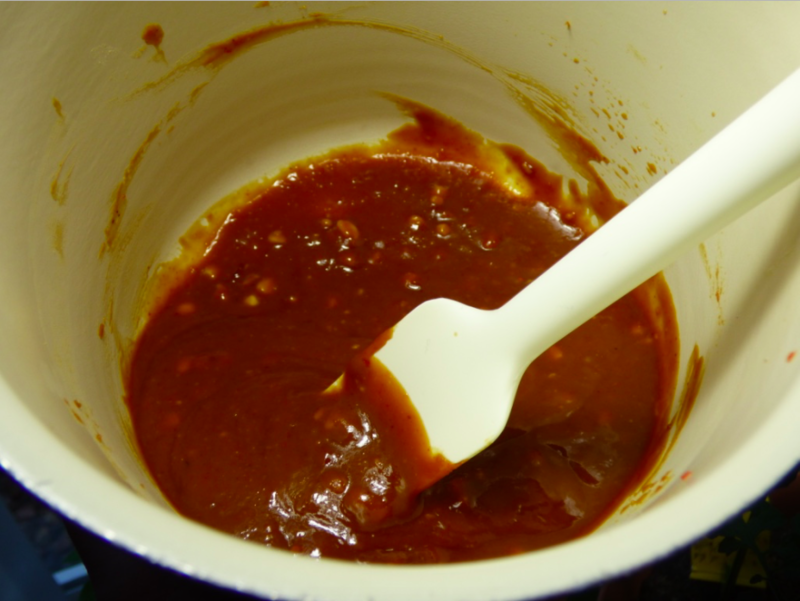 Combine in a saucepan and warm on low until peanut butter melts. Remove from heat and set aside. Preheat a large saucepan or wok on medium low. Add coconut oil, carrot, pepper. Gently stir fry for 5 minutes. 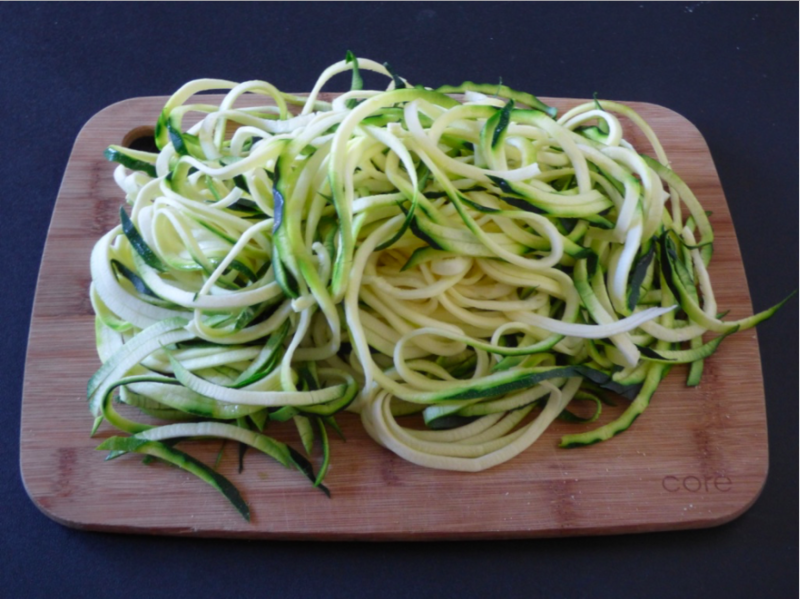 While cooking julienned vegetables, spiralize 2 medium zucchini with the wide, fettuccine blade. Set aside. 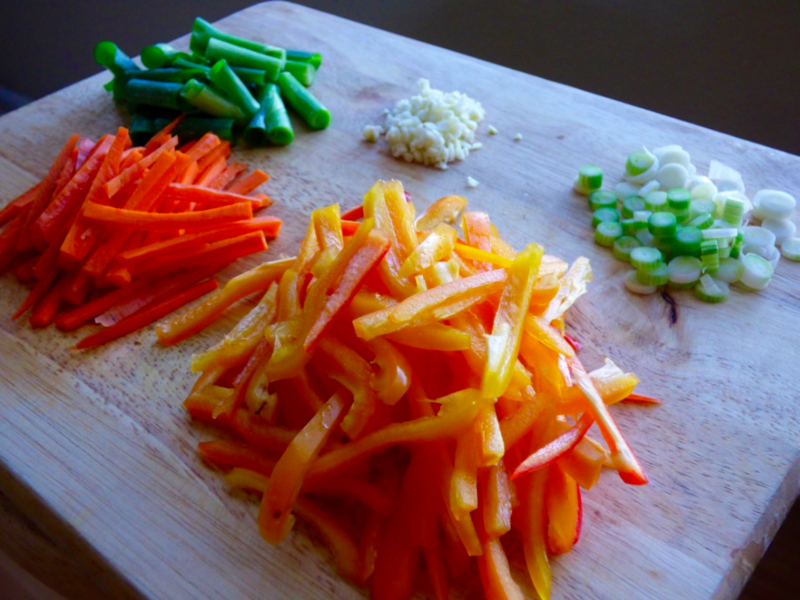 Add 1 Tbsp minced garlic and white parts of green onion to the stir fry. Cook for 1-2 minutes, or until garlic is fragrant. Turn heat off. Add zucchini noodles and green onion parts, fold in sauce. Finish with 1 tsp toasted sesame oil.